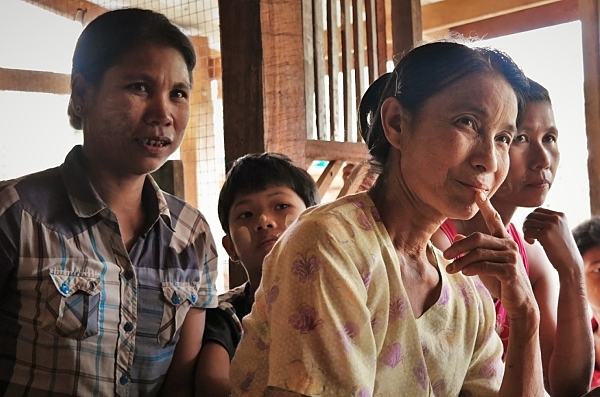 Across Cambodia, there are hundreds of thousands of people with disabilities. These people are of differing ages and genders and could have acquired a disability from birth, as a result of a medical issue such as polio or from the civil war or a landmine. These disabilities cause a multitude of issues for these people such as getting a job or obtaining an education. Services for these people are few and far between and thus, many resort to begging to feed themselves and their family. 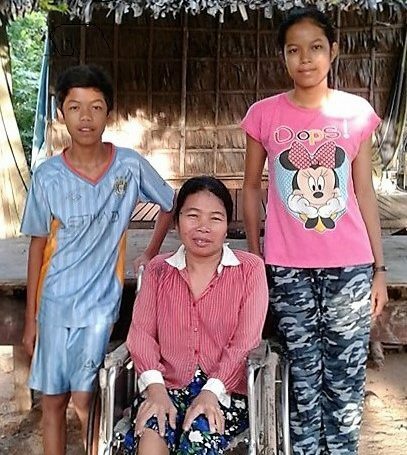 Sokhorn Kreung is a 46-year-old single mother of 2 orphaned children. She contracted polio when she was young and lost the use of her legs. 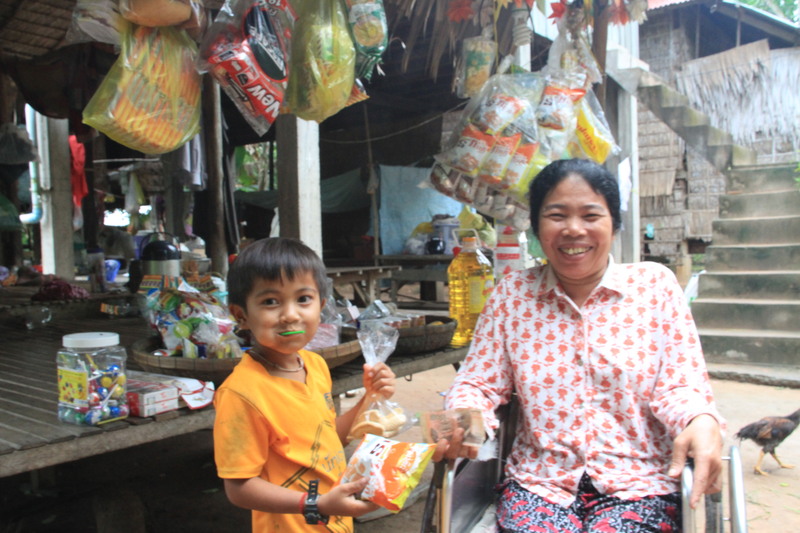 About 4 years ago, after Sokhorn took in 2 orphaned children she decided to use her savings to start a business selling grocery products and snacks. The business was very small but helped her avoid begging for money on the streets. 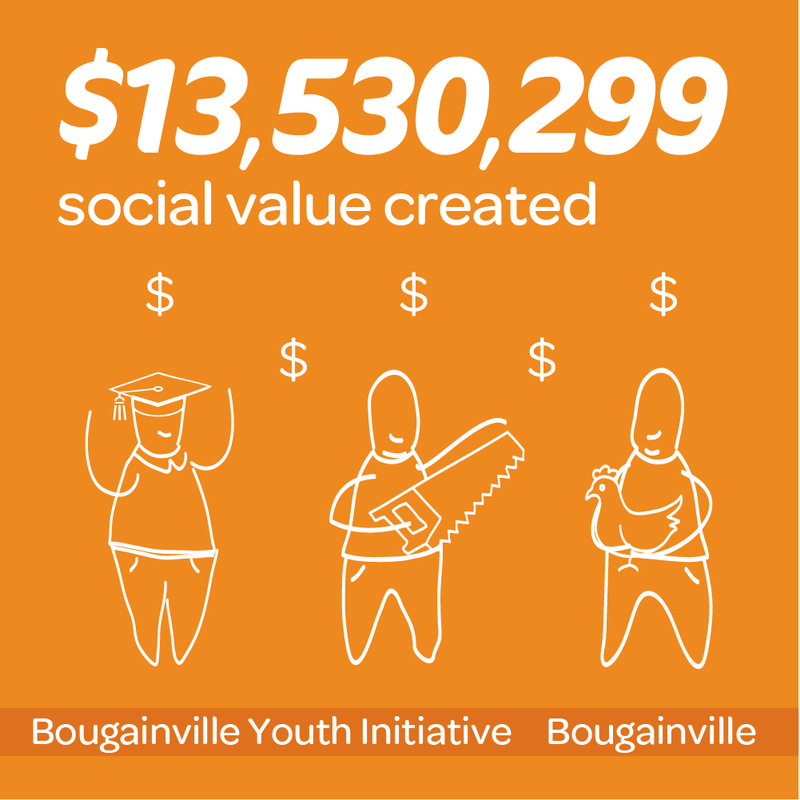 Not long after at a community meeting, she raised how she was struggling with the cost of living and couldn’t afford school supplies for her children. She was concerned about being able to provide food for her family every day as borrowing money at high interest rates and paying for medical supplies for her children had crippled her financially. 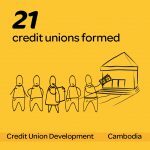 Cufa holds training sessions and business consultations once a quarter, along with one-on-one assistance being made available. 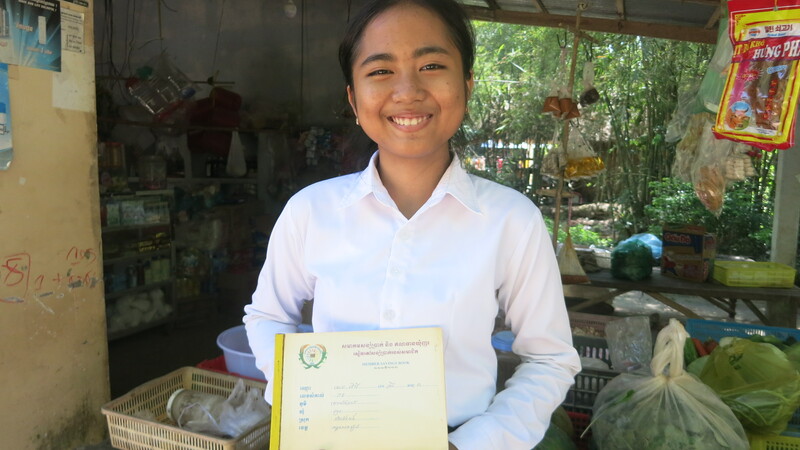 Sokhorn has learnt a lot from the training as she said, “Previously I had no idea how to market my business to customers. Now I know many ways in which I can do this. Things like customer service skills, keeping my stall clean and bookkeeping have given me much success." Now, Sokhorn has been able to purchase new school uniforms, stationery and pay for the study that her children have undertaken. In addition, she can now afford medicine and also does not need to take a loan out to buy rice which she sometimes did before. 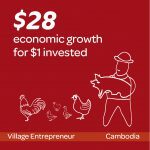 Find out more about how Cufa is changing lives through the Village Entrepreneur program. 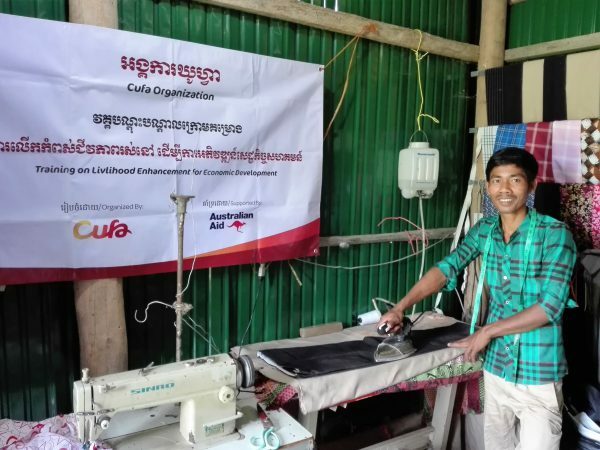 Cufa’s LEED program teaches disadvantaged rural villagers business skills, with a focus on businesses for people with disabilities. 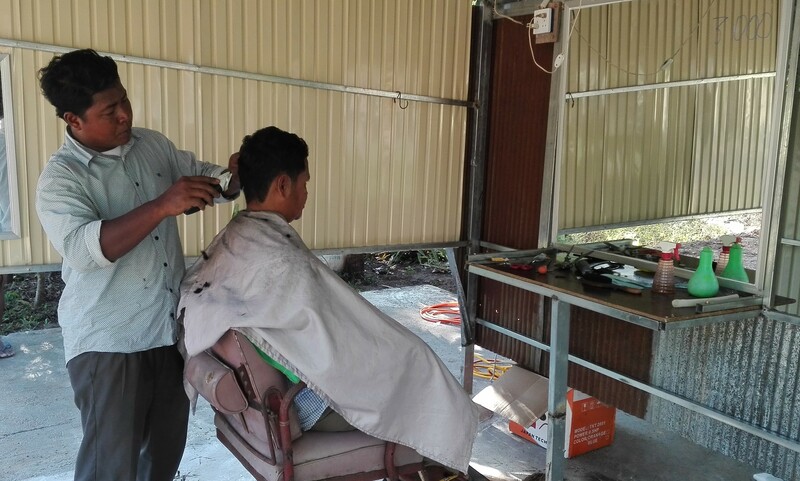 Thanks to the program, Meun Ith has been able to build a successful motorbike repairs business completely changing his life. 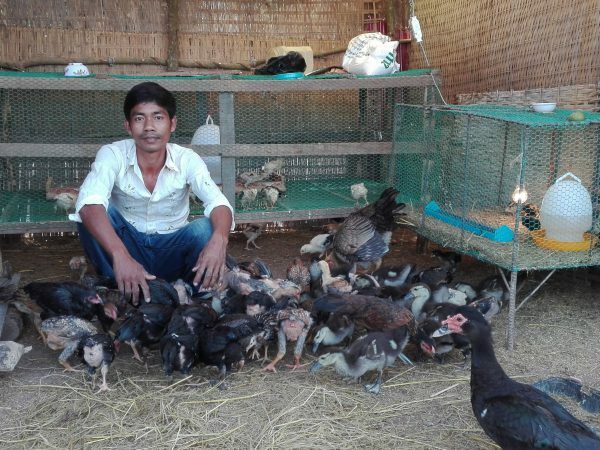 Meun grew up in rural Cambodia and stopped studying at a young age to help his parents work. Unfortunately, when Meun was young a tree fell on him, breaking his leg and leaving him with a lifelong disability. 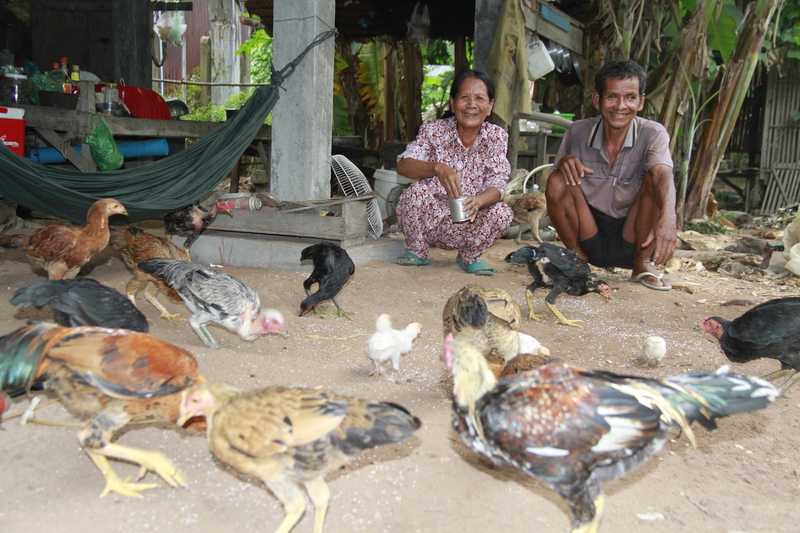 He now lives in Kompong Chhang province, central Cambodia with his wife and two sons. 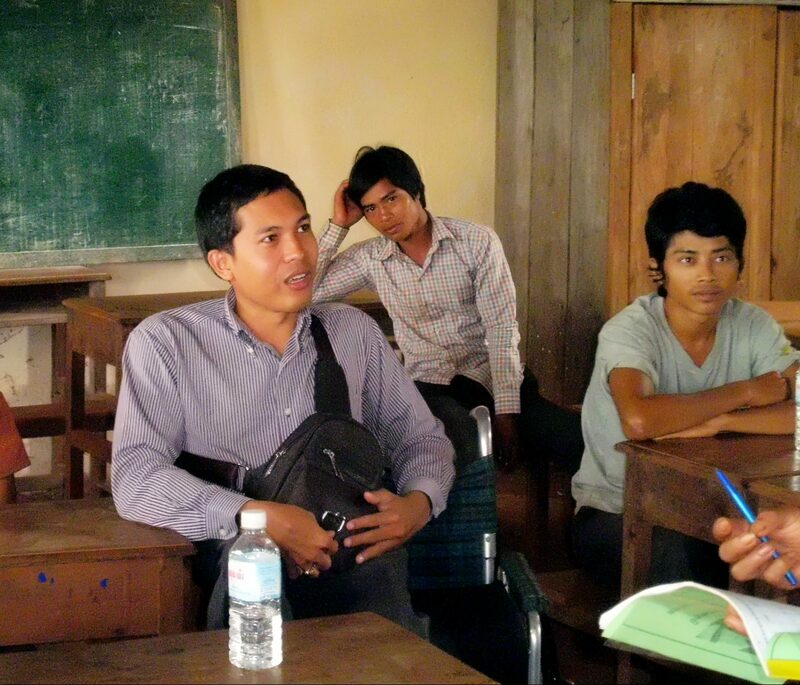 Due to his limited education, Meun was working as a mechanic earning a modest income. He had the opportunity to learn some skills in this position, however, he lacked the crucial business knowledge to make more money from these skills. 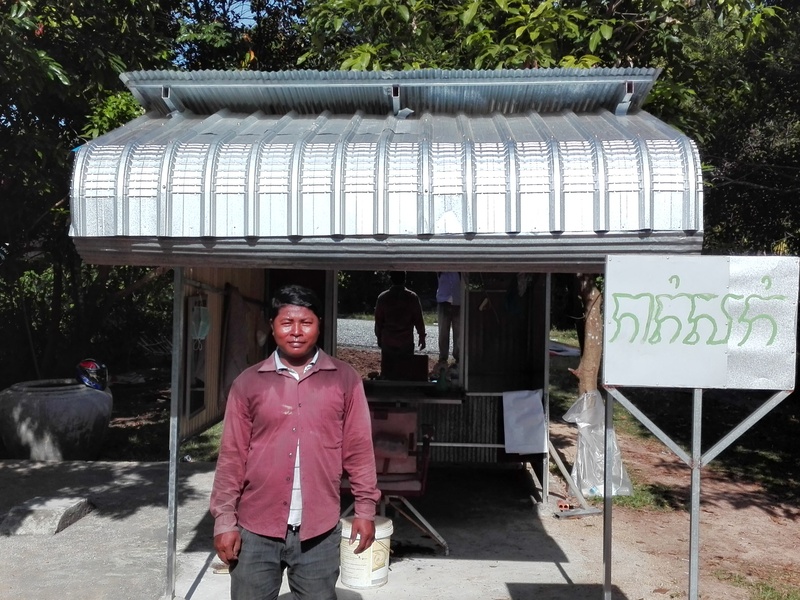 Meun started his small motorbike repair business in April 2018. He did this with a small plot of land and an initial investment of $500. While first starting his business he encountered many challenges such as having no budget and lacking the proper electronic tools. 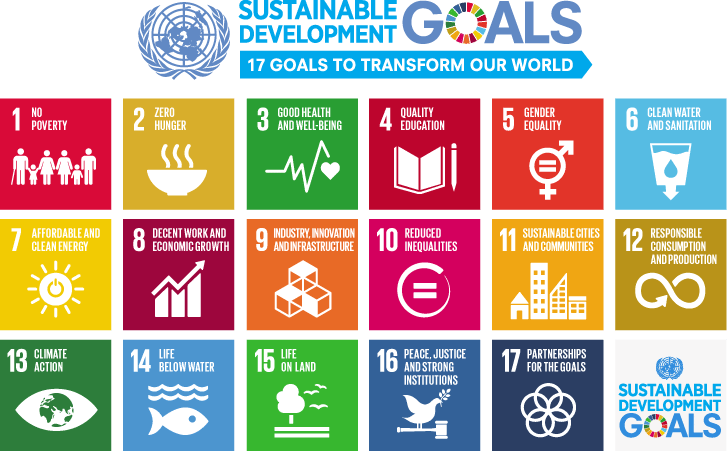 Meun joined Cufa’s LEED program shortly after and was selected as a target beneficiary for the program. This allowed him to receive special training and business consultation. Hence, Meun was able to develop a business work plan and gain skills in many business concepts. 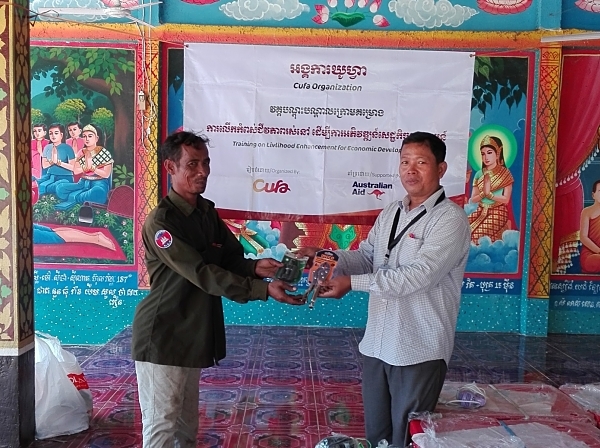 He also received new electronic tools from the program. The business began to grow very quickly due to this help, as did Meun’s confidence. Currently, Meun is earning around $8 a day from his business, managing to save around $3 of this. Moreover, he has been able to budget wisely for his daily expenses like food, but his most important cost is his son's education. His improving business has led to a much better living standard. 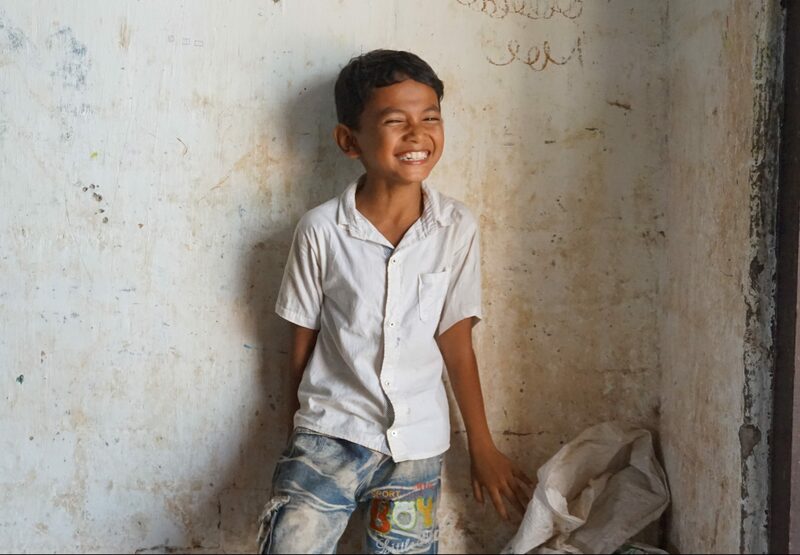 Looking towards the future, Meun would like to extend his store and start selling beverages as well for extra income.